The City of Plymouth Festival is a performing arts organisation run entirely by volunteers and registered with the Charity Commission No:1040360. It is a member of the British and International Federation of Festivals. 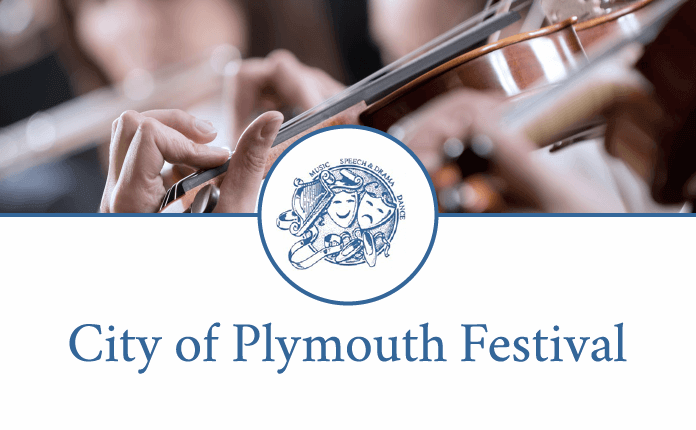 The City of Plymouth Festival uses RunMyFestival, a secure on-line entry system, to collect information so you can enter your child or yourself in festival classes. RunMyFestival is committed to protecting your privacy and maintaining the security of any personal information received from you. We collect information about you when you register yourself or your child to participate in the festival, apply to become a member or friend of the festival or volunteer to help during the festivals. We only ask for such information as is necessary for the efficient administration of the festival. We do not collect sensitive personal data there is a legitimate reason for this. For example, where an entrant may need support to perform or where there is a legal requirement. We use your personal information in order to: confirm your registration to use the website; confirm your entry in the festival; update you about your entry in a festival; and send you information about the festival including programmes you may have purchased. Access to the data is restricted to those personnel who administer the festival. Personal data is not collected and processed without your unconditional consent or where there is a legitimate reason. All personal data is stored on RunMyFestival which you can access at any time. We want to make sure that your personal information is correct. In order to maintain the accuracy of RunMyFestival data base, you can check or update your personal details by accessing the ‘My Details’ area of RMF website. Data is retained on RMF for the duration of a festival cycle. That is, data entered for a festival is retained for approximately twelve months so it can be used the following year. Contacts not entering a festival the following year will be given the option to delete their account. Do we share this information with anyone else? The festival does not pass collected data to any third party unless required to do so by law. It should be noted that only names of competitors will appear in the festival programme. If you do not wish your name or your child’s name to appear in the programme this should be made clear at the time of entry. Wherever possible the festival does not use servers that are based outside the EEA. In the case of an exception the service provider must adhere to a code of conduct and security that complies with the requirements of the EEA. When you use RunMyFestival secure on-line entry system you will be directed to a specialist supplier company, who will receive your information to process the payment. We do not retain your PayPal, credit card, debit card or bank details.